Whitbread plc WTB can not quite make its mind up as to whether its full year results are good or solid, so to be on the safe side, it claims they are both.On an underlying basis revenue rose by 2.6% and profit before tax by 2.5% which is hardly impressive. On a statutory basis, operating profit and profit before tax rose by 0.1% and 0.2% respectively, which appears to be neither good nor solid. Even solidly good seems to be a bit of an exaggeration. The man event of the year was was the sale of Costs to Coca Cola for £3.9bn. A significant majority of the net cash proceeds will be returned to shareholders but not just yet because regulatory approval is still required from the EU and perhaps more importantly China. Trump had perhaps best tread carefully on the sanctions front if he wants Coca Cola to get its approval. The one figure which does stand out among these somewhat mundane results is that the shareholders are to be well looked after with a dividend rise of 4%. 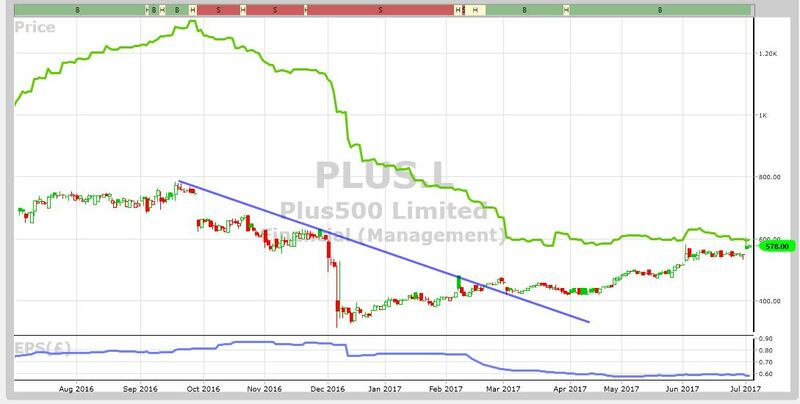 Plus500 Ltd PLUS expects trading for 2018 will now be ahead of expectations. Despite a third quarter drop in revenue of 14%, the nine month figures show a healthy rise in revenue of 86% whilst the number of new customers has risen by 19% and the number of active customers by 74%. Photo-Me Intnl PHTM updates that the year to 30th April has been a year of excellent progress, with profit before tax expected to be at record levels after an increase of about 20% over 2016 which will enable the commitment to a 20% year on year rise in the ordinary dividend, to be met. Investment in new products, growth of the laundry business, especially in Europe and that old friend, favourable currency movements, have all contributed to the success. The launch of the first ever laundrette in Japan, has proved to be a success. 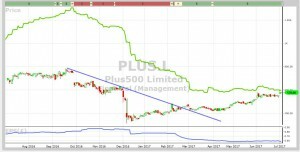 Plus 500 Ltd. PLUS The positive trends evidenced in the first quarter have continued, Second quarter trading revenue has been stronger and margins have been maintained.